As the number of people arrested for drunk driving continues to decrease each year, the number of DUI cases for drugged driving rises. According to Florida law, driving under the influence of drugs means operating a motor vehicle or being actual physical control of a vehicle while under the influence of any chemical or controlled substance. DUID, or drugged driving, also can include cases in which the driver has consumed both alcoholic beverages and an illicit drug that in combination impair the driver’s normal faculties, according to Florida law. Prosecutors often have a difficult time proving impairment in these cases. Although limits exist to presume alcohol impairment under the law, such limits in drug cases are not scientifically justified because levels of impairment from drugs cannot be so easily predicted or presumed. This can become tricky when dealing with prescription medication. In drugged driving cases, the scientific evidence often hinges on the opinion testimony of the Drug Recognition Expert and the results of a blood or urine test. Hiring an experienced criminal defense attorney in this kind of case is critical. The Tallahassee drugged driving defense lawyers at Pumphrey Law understand the importance of contesting this scientific evidence, which leads to the best pre-trial negotiations. The attorneys at Pumphrey Law are experienced in DUI cases involving allegations of drug use. 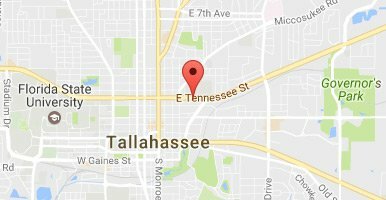 The attorneys represent clients in Tallahassee and throughout the Florida Panhandle. Pumphrey Law also represents students at local colleges and universities in DUI cases, including those at Florida State University and Florida A&M University. Call (850) 681-7777 to discuss your drugged driving case. In DUID cases in Florida, the issue is whether the driver’s normal facilities were impaired, according to Florida Statutes Annotated § 316.293 (1)(a). The term “normal facilities” can include the ability to see, hear, walk, talk, judge distances, drive an automobile, make judgments, act in emergencies and, in general, normally perform the many mental and physical activities of daily life. After a DUI arrest, if the officer has reasonable cause to believe the driver is under the influence of any chemical or controlled substance, the officer can request a urine or blood test. Blood tests typically are more accurate in determining if a driver was under the influence of drugs. The results of urine tests can be highly inflated. After a lawful DUI arrest, the driver is deemed to have given his or her consent to submit to the urine or blood test, according to Florida Statutes Annotated § 316.1932 (1). If that consent is withdrawn by a refusal to submit, the law provides for certain enhanced administrative penalties. Drivers can receive a one-year driver’s license suspension for a first refusal to submit to a chemical test or an 18-month suspension for a second or subsequent refusal. According to Florida Statutes Annotated §775.082(4)(a), a second refusal to submit to testing is a first-degree misdemeanor that can be punished by up to one year in jail. The problems with testing for these controlled substances vary widely. For example, tests may reveal traces of a drug, but it cannot determine when or how much of it was ingested. Both can be critical when determining if a person was in fact under the influence while driving or in actual physical control of a vehicle. An experienced criminal defense lawyer in Tallahassee often will file motions to suppress or exclude the results of any blood or urine test. NORML on Florida’s Drugged Driving Laws – Read more about Florida’s laws on drugged driving from the National Organization for the Reform of Marijuana Laws with information on the statutory language of the DUI statutes, the application of implied consent laws, penalties and recent case law. Drugged DUI – Information from the Office of National Drug Control Policy and other federal agencies such as the Department of Transportation on drugged driving. The National Drug Control Strategy calls for encouraging states to adopt Per Se drug impairment laws and presume impairment from the mere presence of the substances in the driver’s blood or urine. Also, find collected data, research, and surveys showing how pervasive drugged driving has become in the United States. If you are charged with drugged driving or DUID in Leon County or any of the surrounding areas, contact an aggressive an experienced Tallahassee drugged driving defense attorney at Pumphrey Law. Call (850) 681-7777 to learn how the attorneys can fight these cases to show mistakes made by law enforcement officers. Contact Pumphrey Law today for a free consultation.